Spring is the traditional time to clean and put your house in order, and while many Atlantic Canadians would argue that it doesn’t count as spring when we’ll probably get our last blizzard in May, winter is technically over. As such, many of us are now making big plans to get our homes cleaned up and aired out. While you’re cleaning, don’t overlook your heat pump. Just like anything else, heat pumps need regular cleaning and maintenance. Here are a few steps to add to your spring cleaning plan that will help keep your Daikin mini-split operating in peak condition all year. Before doing anything, make sure you turn the unit off and disconnect the power. 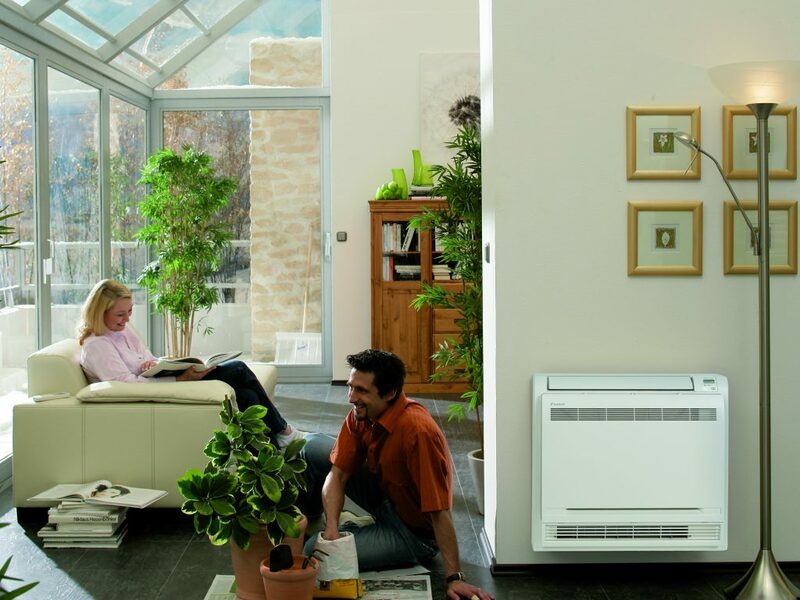 Airflow is very important for a heat pump. If your outdoor unit is struggling to take in air, it will need to work harder to keep your home comfortable and will significantly reduce the efficiency. After a long, messy winter, it’s likely that the outdoor component of your mini-split will need a little bit of TLC. Start by clearing away any debris that may have accumulated on or around the unit. It’s not unusual to find twigs, dry leaves, grass clippings, crowded around the unit or jammed in the grill. Once you’ve cleared away and disposed of larger debris, put some mild detergent and warm water in a bucket. Use a damp cloth to clean the outside of the housing. You can use a soft brush to clean the grill—try to make sure you clean out as much of the dust in there as possible. Just like the outdoor unit, making sure the indoor unit has clear airflow is very important to the heat pump’s operating efficiency. Start by opening the unit and removing and cleaning the air filters. You can wash them with soap and water, but make sure they’re well rinsed and totally dry before you reinsert them. While the filters are removed, clean any interior parts of the heat pump that you’re able to access easily. Wipe away any dust or pet hair that you find in the unit—there will often be a lot of dirt around the edges of where the filters connect to the unit. Finally, reinsert the filters and close the unit. Once it’s sealed back up, wipe the unit down with a damp cloth, then dry it. Once this is all completed, you can reconnect the power and turn the unit back on. In addition to general cleaning, you should have your heat pump serviced by a professional at least once per year. Regular maintenance will help extend the life of your investment and ensure that your heat pump is operating at peak efficiency. Contact an authorized Daikin dealer near you to schedule a maintenance appointment today!